Inspired by the Surrealist technique known as exquisite corpse, we investigated a novel method for exploring low-level interactions. By creating a video collection of input actions and output reactions, we created a method that allows quick video sketching of interactions. Designers can mix and match different actions, and quickly see the results. We present three examples and conclude with our lessons learned from using this technique. Take a look at 4 videos of Exquisite Corpses! 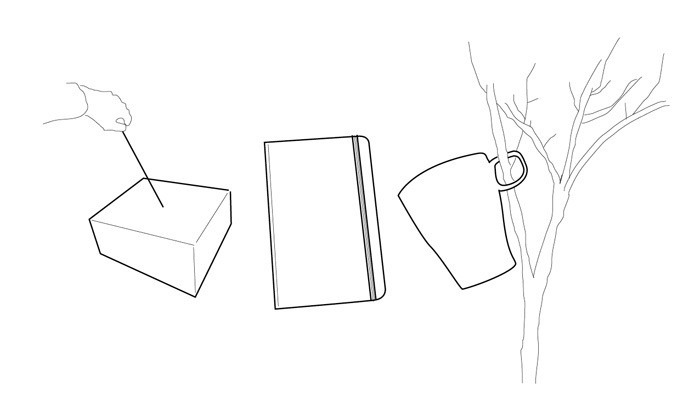 Exquisite Corpse: Cups and Trees from audrey desjardins on Vimeo. Exquisite Corpse: Flipping Pages from audrey desjardins on Vimeo. Exquisite Corpse: Poking Finger from audrey desjardins on Vimeo. Exquisite Corpses: Kitchen Stab from audrey desjardins on Vimeo.